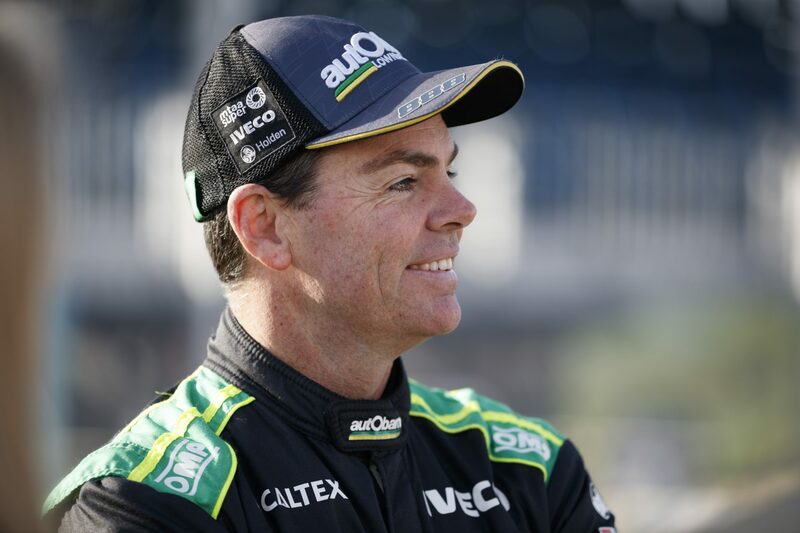 Craig Lowndes is expecting his final Supercheap Auto Bathurst 1000 appearance as a full-time Supercars driver this weekend to be an emotional experience. The 44-year-old veteran will race on as a co-driver with Triple Eight in the PIRTEK Enduro Cup next season, but is having his last Bathurst start as a full-time participant. 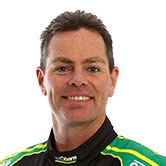 Much of Lowndes’ legend has been made at Bathurst, starting with a famous second on debut as a 20-year-old in 1994 with the Holden Racing Team. 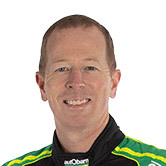 His first season as a full-time Supercars driver in 1996 netted a rare Triple Crown of the championship, Sandown and Bathurst, emulating his mentor Peter Brock. While a dry spell at Bathurst followed, a hat-track of wins with Triple Eight from 2006-08 included his career highlight – taking out the first Peter Brock Trophy in ‘06. Lowndes won again in 2010 and 2015, the latter with current co-driver Steven Richards, and after a rough run the last two years, is well placed for a crack at a seventh victory. 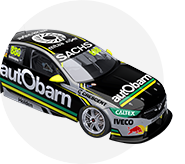 “For me, it’s really special to pair up with Richo for a fifth year, we go in with a lot of experience,” he said at a team media event in Sydney before heading to Bathurst today. “Knowing you’re going to be back next year as a co-driver to either Shane [van Gisbergen] or Jamie [Whincup], it still gives you a lot of confidence that this year won’t be my last time there. Lowndes notes that controlling energy levels through the week is an important part of the event for drivers. “When you arrive, you’re full of energy and excitement and want to get into it,” he said. “But you’ve got to be very measured about how you approach the week, because it’s a long week. “By the time you get to the other end of Sunday, you’re emotionally wrecked. “It’s one of those things, as a track, physically we’re all good, we’re all fit now, but mentally you’re drained. “Not only have you done the six and a half hours on Sunday, but it’s also the six days prior. You’ve got to learn how to really balance that all up. Heading to Bathurst and a driver change with @laralowndes not as quick as @steve_richo but just as effective. Im on DJ duties. ?? Lowndes’ popularity with the fan base means his time is in demand more than any other driver at Mount Panorama. It’s a legacy Lowndes took over from mentor Brock, who taught the then youngster how to master the circuit when they were team-mates at the HRT in 1994. 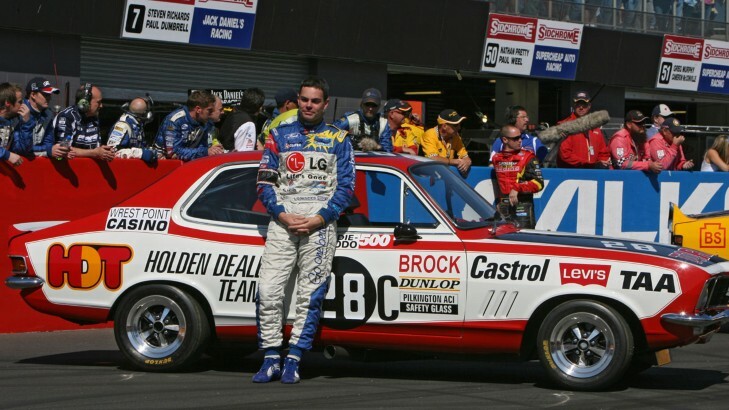 “The beauty about it for me is I grew up in the same area as Peter Brock,” Lowndes said of following in Brock's footsteps as the fan favourite at Bathurst. “We went to the same high school, I played AFL football in the same football club; there’s a lot of connections I have with Peter outside of driving. “But he was a master at this side of it. I’m not shy of talking, I love getting out there, mixing with the fans, talking and relating, and understanding and hearing the stories. “I think that’s what the fans have embraced. I’m not just a driver that turns up, races a race car and flys home and sits at home all day. Lowndes and 46-year-old Richards are the oldest pairing in the field, which the former insists is no bad thing at Bathurst. “Experience plays a big part at Bathurst because you want to make sure you’re patient at times,” he said. “You’ve got to be aggressive at other times, but you just can’t be aggressive all day, because you want to make sure you look after the car and bring it back in one piece.